to go off the beaten track, you can count on me to be your best travel guide to china. 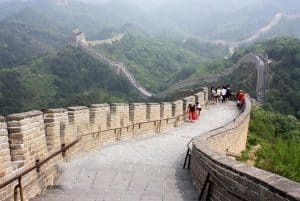 With an immensely diverse geographical terrain that boasts of towering icy peaks to pristine rain forests and one of the richest cultures that has been the inspiration for a million different things around the world, China is a traveler’s delight. There is something on offer for everyone. Irrespective of whether you are travelling with family or are here on a solo trip to soak in the culture, you can make your stay a memorable one and go back with a bounty of pleasant thoughts. The only thing that you need on your side is an experienced China tours guide, who can converse fluently in Chinese, English and Mandarin and be your guide through the hustling cities and the meandering countryside. Are you looking for a budget package to china? Contact me for personalized cheap tours to china that do not compromise on the itinerary. As a china tour guide, I will guide you about the splendors of the Great Wall, the Forbidden City, and the Summer Palace in Beijing. My china tour guide service will also take you to the stunningly beautiful city of Shanghai, and then, as your private tour guide china, I will take you to the Terra-cotta Warriors and Horses of Emperor Qin Shi Huang in Xian. As a China tours guide china assistant, my services go beyond being your guide in tourist places. I can also be your china business tour guide and Chinese interpreter personal tour guide, allowing you to communicate without a hitch with your potential partners. 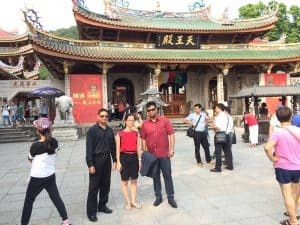 Why hire a personal tour guide in china? Because you get personalized attention unlike most travel companies who give you cookie cutter packages that simply don’t cover all the places or work the way you want it to. As a freelance tour guide in china, I understand that your requirements may be diverse and I strive to help you get the best service each time. You will never struggle to communicate again as I can converse fluently in English. You get the added benefit of having an English tour guide in china. I am friendly, courteous and fun to be with. You will enjoy your China tours without any problems whatsoever. If you are looking for any recommendations when it comes to hotels or tourist destinations, I can make personalized recommendations and ensure that you receive end-to-end services without a lapse in service at any point of time. So, speak to me today for your china tour guide and I will give you the best personalized prices.